When the next-generation iPhone launches later this year, we might be witnessing a gold rush of sorts. That's because the release of a gold iPhone has been all but confirmed. Over at TechCrunch, MG Siegler categorically says, "Yes, there will be a gold iPhone." According to Siegler's unidentified sources, the long-rumored gold iPhone will resemble the color of champagne more than that of the yellow precious metal itself. That is to say, it won't be as garish as many of us have imagined it to be. Thank Hephaestus, I say. Siegler notes that a gold iPhone is likely to sell quite well in the Chinese and Indian markets, where gold is one of the most popular product color options. It is also regarded as another step in Apple's recent move to emphasize its association with its home base of California, which is nicknamed the Golden State. 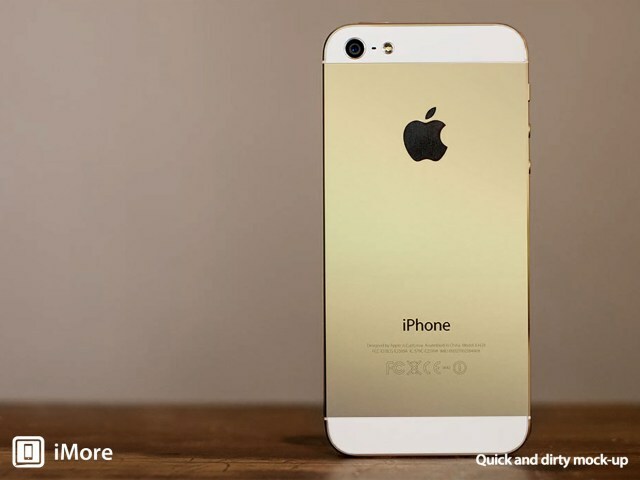 Rumors of a gold color choice for the next-generation iPhone aka "iPhone 5S" first emerged back in June. Late last week, photos of the golden iDevice ("in all its gaudy glory" as Brent brilliantly put it, echoing Bryan's sentiment in his op-ed) were leaked. In addition, Ming-Chi Kuo, a respected analyst at KGI Securities, sent a research note out to investors advising that a gold iPhone 5S could be released along with a 128GB storage capacity option. The next-generation iPhone is expected to be unveiled alongside the so-called "iPhone 5C," which is said to come at a lower price and in a range of several bright colors, on Sept. 10.